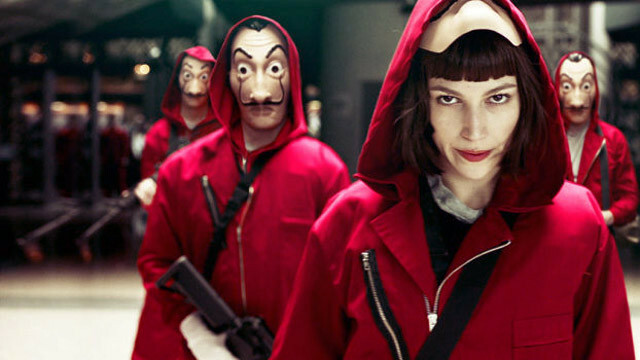 No words can introduce the genius mastery of La casa de Papel or if you don’t understand Spanish, Money Heist. A brilliant Professor (ALVARO MORTE) comes up with a grand master plan to execute the greatest money heist in history. He picks 8 specialist criminals who don’t have much to lose and whose skills will come handy in pulling off the heist. But, this is no ordinary heist. Their purpose is to enter the Royal Mint of Spain (not to steal what’s there), but print their own untraceable money (2.4 Euros in total) over a couple of days, with the help of their hostages.